College & Majors/Minors: I attended Cameron University in Lawton, Oklahoma. My major was in English with a concentration in Creative and Professional Writing; my minor was in Psychology. My current position is with my alma mater, Cameron University, as the Institutional Grant Writer. While I was a non-traditional students and worked for several years as blackjack, craps, and poker dealer before entering college, this job is the first that required an English degree. I heard about it because I was actively looking for jobs at my school. I wanted to give back to the place that had helped transform my life for the better. This job materialized and my boss at the time (I was working as a student English tutor at the Center for Writers) heard about it and told me. I applied and interviewed for the Institutional Grant Writer position during my last semester of college. It was lucky timing. I had been looking for a job for about a year at that point and had had many close calls. For example, I had a job offer that I accepted that was later pulled due to extenuating circumstances. Therefore, I was scrambling when I heard about my current position. Very lucky timing! I also freelance as an editor and proofreader on Fiverr. I found out about that site, which is an innovative marketplace, from one of my classmates. She praised the site, and since I knew and trusted her, I looked into it for myself. It really is a very useful way to supplement my income, so I'm glad she pointed it out to me. Working there on the side allows me to help pay for travel to read my creative writing, which I otherwise might not be able to afford. I think that all of the internships and student worker positions I had as an undergraduate were very important to my writing career. As I mentioned, I worked as a student tutor. I did that for three years, and I also worked as an editor for multiple publications: the Gold Mine, the in-house literary magazine, the Oklahoma Review, a national literary magazine, and the Cameron Collegian, a weekly newspaper. I also did reviews and contributed to other publications such as the Oklahoma Review, CyberSoleil, and Cuento Magazine. When working for the Oklahoma Review, I volunteered to do layout and taught myself how to lay out a publication on Microsoft Word. I also did layout for the newspaper, which taught me how to use Adobe InDesign. All of those experiences shaped my voice as a writer, provided me with items for my resume, and taught me important life and work skills, such as the software experience, how to write professional emails, how to manage my time as a professional (which is different from how a student manages her time, at least in my experience), and how to sell my work. They also taught me how to be a good and respectful editor, which I absolutely love doing. If it weren't for those opportunity, I don't know that I ever would have discovered how much I love working with my fellow writers. I also built in publishing credits in my undergraduate years that are paying off now. I paid attention, asked questions, learned how to write a resume and cover letter, learned how to sell my English skills for non-writing jobs. I visited the career center as much as possible, too. They were very helpful in providing me with a refresher on interview skills, job leads, and much more. If you have such resources available to you at your school or something similar in your community, use them! For students, I would recommend making as many connections with your classmates, professors, and visiting writers as possible. Those connections will help you in one way or another, often in unimaginable ways, once you've graduated. The best possible advice I can give to students is to say yes to every opportunity you have to hear a visiting writer, work on a publication, attend open mics and literary festivals and symposiums, workshop someone else's writing, participate in an internship, and otherwise set yourself up for future success and support your local literary community. It is our charge to be active citizens of the literary community; if we don't take care of it, who will? It is tough to participate in those types of things when you are tired and stressed from your schoolwork, your family, your jobs, but challenge yourself to say yes to more of these types of things when at all possible. To graduates my advice is to, after an appropriate amount of time has passed, revisit your undergraduate work (creative writing and/or essays and/or other work). Consider revising and submitting it for publication. I would also encourage those of you who have not found a job that uses your degree yet to not lose hope. Do not be discouraged. Keep looking, keep reading, keep writing. It is a myth that English major don't get jobs. Also, I advise students to join any organizations on campus such as Sigma Tau Delta, the English Honor Society. Check out Casey on Fiverr, and follow her on Twitter and Instagram. You can also listen to a podcast that Casey was a guest on here! Posted on April 29, 2016 by Alyssa W. Christensen and filed under Grant Writing and tagged Grant Writing. A few weeks into starting college as a Chemistry Major for Pre-Optometry, I quickly learned that it was not the path for me. So, I declared English and spent a year where I started before transferring to Northern Kentucky University. This was the best decision of my life for many reasons. Just outside of Cincinnati, my new school was the land of opportunity – which I desperately needed. Beneath the crippling question of “What can I do with my degree?” I began to panic. That is, until I learned these 7 things through landing an internship in Development Writing at Cincinnati Children’s Hospital Medical Center! For those who may not know what development writing is, development is important because it fundraises to support all areas of the hospital to both sustain and improve care. 1. Use Your University’s Career Services. NKU’s Career Services is magical and all the workers there are fantastic. They really, truly care about us as students and want to see us succeed. They help with career planning, resume writing, interview practice and more! I’m positive that if I had not utilized all that they offer I would not have been placed in my internship. In fact, it was on my university’s job board that I found it. As an English Major, the focus of my studies is on the Rhetorical Situation. According to Lloyd Bitzer, every Rhetorical Situation has three main components: exigence, audience and constraints. As a Development Writer, when I draft Letters of Intent/Inquiry (LOIs) and proposals, my audience is the donor. The exigence, or problem needing addressed, is whatever project for which I am asking funding. The constraints are the funding interests and focuses of the donor. Development writing is never really about the need, it is always about the donor and how they can make a difference. This is why knowing the audience is extremely important. Sometimes during my internship I work on huge grant proposals. Other times I spend days stuffing envelopes. As an English Major, I’d always rather be writing. Stuffing envelopes was not part of my job description when I was hired, but I’m beginning to learn a lot about how Development works this way. There’s more to it than just asking for and receiving money as relationships need to be made and maintained to keep the funding coming. This is why it’s important to keep the donors updated about the hospital through mailings and I’m learning that there is no such thing as bad experience. Especially when it’s paid! During Syllabus Week, professors often say that no late assignments are accepted. That’s because they’re not. As I stated earlier, Development is all about the donor. What they say goes because it’s their money. When they set deadlines it’s very important for proposal writers and project leads to adhere to the donor’s timeline. This is because if a deadline is missed, then the donor has every right to deny funding. What’s worse is if a grant has already been awarded and a reporting deadline is missed, then the money can even be taken away! Development is a very time-sensitive business. I’ve never been as happy or as stressed as I am at my internship. Working at a not-for-profit organization means that I get to contribute to really important work that helps save lives. However, it also means that my internship comes with a lot of pressure. Failure to write grant-winning proposals means that the hospital doesn’t receive the funding it needs and this is definitely not an internship for the faint of heart. However, I believe that nothing worth having comes easy and I believe that is true of all internships. As an intern, I get told a lot that I’m “lucky” even though I’m not. I earned my internship as a result of my hard work. It’s not something I found at the end of a rainbow one day, it’s something I looked for weeks to find. I continually hold the argument that English Majors are some of the hardest working students in any university. This is because we practice daily all the skills that employers seek. We know how to meet deadlines, collaborate, communicate and receive criticism. Most importantly, though, we as English Majors know rhetoric. If it wasn’t obvious by my leading question “What can I do with my degree?” I’m an extremely anxious individual. I’m always looking to the future and how I can secure success. This internship, though, has taught me that it’s not always about the future. Sometimes it’s important to focus on the moment at hand, and in this moment I am an intern. At the end of the day, internships are all about learning. I’m learning about Development, writing and myself. Thanks to the combination of my internship and Dear English Major, I’m learning that as an English Major, I can do anything I want with my degree. And so can you. Shannon Winter begins her final semester of undergrad this week at Northern Kentucky University where she majors in English with a track in Writing Studies and she minors in Public Service. She recently finished her yearlong internship with Cincinnati Children's and is about to begin a co-op with the City of Cincinnati. Shannon lives in Northern Kentucky with her longtime boyfriend and their two cats. She loves pop-punk music, donuts, and Parks and Recreation. Feel free to follow her on Twitter or connect with her on LinkedIn. Posted on January 9, 2016 by Alyssa W. Christensen and filed under Featured Articles, Writing, Grant Writing, Internship Resources. I just started working at Denver Urban Gardens as their chief fundraiser and media guru. My job is a mix of writing strategy (grants, solicitation letters, press releases, Facebook posts), and meeting people. I got my first non-profit job thanks to volunteering. I was in a boring admin job for several years while I put myself through grad school and as I was finishing my thesis (well, THOUGHT I was finishing my thesis), I was looking for a more fulfilling job. Because I had volunteered at a few related organizations and could drop names of some people my future boss knew, I was hired to manage their small office. All of my jobs taught me various lessons, but I think my experience in food service really helped me figure out how to work. You don’t rest when you are doing a restaurant job. If there are no customers, you do dishes. If there are no dishes, you dust liquor bottles, etc. I also really learned the importance of customer service and creating a positive vibe. That has helped me immeasurably as a fundraiser (and I always like to hire my fellow former-waiters and bartenders). Honestly, I didn’t do a thing! I was going to undergrad during the Internet boom and it seemed entirely likely that I could get hired at a completely ridiculous company with no skills. But the boom went bust my senior year and I was completely behind. I was too cool to go to the university seminar on writing cover letters, so I was banging out three-sentence emails and attaching my resume and wondering why no one was calling me. I didn’t learn how to properly apply to a job until I had three years of temping under my belt. Unless you are going into something really specialized (like publishing or academia), your future boss doesn’t really care that you have an English degree. They care that you have A degree and that you hopefully have some related work/internship experience. The benefit of an English degree is that it is really easy to spin in different ways for the business world—it shows that you have superior communication skills and that is really important in most entry-level jobs. Check out Rebecca's professional website, her writing on themuse.com and professional.com. 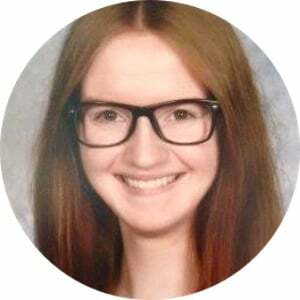 Connect with Rebecca on LinkedIn, and follow her on Twitter! Posted on January 6, 2015 by Alyssa W. Christensen and filed under Communications, Non-profit, Writing, Grant Writing and tagged Grant Writing. Check out Angeline Evans' work here! I work at Florida International University as a digital media manager, analyzing and strategizing for our digital publications and properties. I also write occasionally for the online magazine. My first job out of college was as a transportation planning assistant at the engineering firm where I interned my senior year of college. I sent in close to 30 cover letters and resumes for internship openings. But that's not really related to this blog, is it? I found my first job out of grad school through a summer internship. The magazine editor left for a new job while I was interning for a city government, giving me an opportunity to step in as interim editor for a few issues while they searched for her replacement. When I graduated, that same editor was about to leave the new job, and I stepped into her role again. I still refer to her as my "career fairy godmother." It's slightly inaccurate to say I "found" my current job, because I actually helped create it. I went through two rounds of interviews for a different position (managing editor), and when they couldn't choose between the two finalists due to our different skill sets, we worked to create a new position to fill a void they didn't know they had before (more geared toward digital content and strategy). The original position was found through friends on Facebook. How do you find freelance clients?/How do your freelance gigs come about? I have freelanced as a grantwriter and copyeditor. I contract with a small strategic communications agency (met through a previous job) for grantwriting work, and my copyediting gigs come in through referrals. Internships, internships, internships. Write, write, write. Build skills or develop an expertise in a field where writing is traditionally undervalued. This has been key to my personal career journey – my boss at the engineering firm was ready to hire me back after grad school, and my current boss zeroed in on the digital publishing and web marketing skill set I had gained through years of blogging. The art and skill of writing is highly underrated by most employers, but oh so important. Make sure you put your skills in the right context when you apply for a job, especially if it isn't a writing-specific job. Don't make them guess how your degree benefits them, because they probably won't get it. Try your hand at all different kinds of real-world writing – marketing copy, press releases, poetry, fiction, essay writing, speechwriting, etc. – you never know if you'll enjoy it and find a new opportunity. Flexibility is crucial. Visit Angeline Evans on her website, angeline-evans.com, and connect with her on twitter and Linkedin. Angeline is also a contributor on ProfessionGal.com. Posted on September 18, 2014 by Alyssa W. Christensen and filed under Digital Media, Writing, Editing, Grant Writing and tagged Marketing. My current position is as an administrative coordinator within the Cardiovascular Translational Research Center at USC School of Medicine. I handle a variety of tasks depending on what our team’s Director needs that day, but a large portion of my job involves manuscript management, as he is on the editorial board of numerous peer-review journals. Further, he is quite the writer himself with many publications under his belt, so I help with the proofreading, editing, and formatting of those before the submission process. This particular task set extends into the writing of his grants, as well. Thankfully, there are calculators for the number portion of that because words are about as skilled as I get. Outside of USC, I do freelance work as a writer, blogger, and occasional editor. My first job after college was at a small medical practice of orthopedic surgeons. A friend of mine was working with a physician there, and when she learned that the Research Director needed someone to help with manuscript writing and editing, she passed along my name. It was a part-time gig, but I learned quickly that I enjoyed medical editing. I had always figured my life would contain words, but it was not until my first job that I realized I quite enjoyed reading other people’s work and providing insight where I could. It then becomes a team effort in creating something worthwhile, and that was a rewarding experience for me. Later, I found myself in a retail position since I needed something that paid more while recovering from a spinal surgery. In the process, I eventually lost sight of what I truly wanted my career to look like. Getting back on my feet both metaphorically and literally meant taking strides in changing where I was. It was slow going for a while because I felt I was chasing a pipe dream—I was questioning my choices, and I found myself believing that I was facing a dead-end before the age of 25. I was on disability from my retail job while recovering from the surgery, paying student loans for a degree I was not using, and spending my sudden plethora of free time in bed thinking about how I haven’t written anything in ages but still feeling too afraid to pick up a pen. I was in pain, physically and mentally, and thus felt drained and defeated. How do you find your freelance gigs? I recently filled out profiles on sites like Elance and really started to apply for offered jobs through them. I have done a lot of guest blogging and guest articles for various online sites as well, which has helped in getting my name out there as a credible source. Sometimes I am asked to proofread or write for others and thus the opportunity comes to me on its own, but most of the time, at least at the stage I am currently in, I have to reach out whether by submitting a proposal for a job or showcasing my portfolio. Particularly for my writing, blogging has become a major part of networking with other companies and writers. 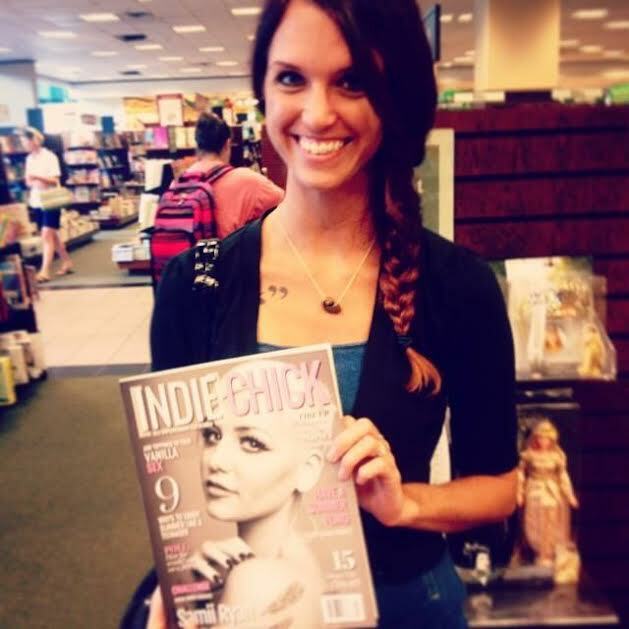 In fact, through blogging is how I met the ladies who run The Indie Chicks; thus, I had my first print article published in the second issue of their magazine, Indie Chick. I have gotten the chance to collaborate with many talented and inspiring people because I started blogging, reading, and commenting on other people’s work. Eventually, they began to do the same for me and suddenly it started to feel as though I had something worthwhile to say (who knew?). So we write, discuss, and share our love for the craft while simultaneously building our expertise. Without really realizing it, blogging and guest blogging became an experience-building way of writing for me. I have to lend credit to the blogosphere quite a bit for aiding me in taking myself seriously as a writer and also providing so many opportunities I never knew had existed before I created my first Wordpress site. In some ways, there is not a complete way to prepare for post-grad life as the experience can vary from one individual to the next. But we all have to start somewhere, and very often, that somewhere involves a bit of flailing in the beginning. What proved to be helpful for me was getting to know what opportunities existed in my town and what I could do to better prepare myself for them. Post-grads often get stuck in this limbo of being a novice with a degree whereas employers are seeking people with a degree but with experience. I worked on my university’s literary magazine in order to help build towards a better understanding of the way publications work, as one example. Though it was not actual job experience, it was experience nonetheless–something the employers I interviewed with seemed to take notice of. My current boss commented, “You’re green but dedicated.” Taking the time to research your interests, to teach yourself the things you're unfamiliar with, and to put in the effort for both your life and career not only demonstrates passion within your interviews with potential employers, but it also helps to ease your way into post-grad life in general. There are a lot of people out there who believe an English degree is useless for a number of reasons. I suppose it is because there is this stereotype that all we do is cuddle with said degree, comforting ourselves while clutching it tightly, repeating to ourselves lines of Jane Austen or Shakespeare or a Bronte sister, while sitting alone in our parents’ basement with no job offer in sight. Sure, a love of literature is often involved in our choice of degree, but anyone who truly thinks an English degree is impractical has not really thought about language itself: any set or system of symbols used in a more or less uniform fashion by a number of people, who are thus enabled to communicate intelligibly with one another. Without that, where would any of us be? So my advice to those of you facing naysayers (including yourself at times) is to continue believing in your path and your abilities because without you, without someone who has a love and understanding of words, communication would begin to break down. Whether you decide to teach and pass along how we use this beautiful thing called language, or you dive into publishing, or you help others write, or perhaps you write yourself, or you understand how to deploy words into advertising, into journalism, into whatever the case may be – you are making a statement and an impact on how the rest of the world, through time or space, will understand us. I’d say that is worthwhile. My last piece of advice would be to not give up, which sounds easy but usually is not. Post-grad life can be pretty grim, regardless of the degree you end up with, but some of that has nothing to do with what you spent your time in college studying. What you can do in the meantime, however, is hone your skills, remind yourself why you chose this path, and create work for yourself. When I initially worked retail, I would come home and journal because it kept the fire going in the pit of my stomach, the burn to wake up each day with the belief I would get to do what I love. Because sometimes it did not feel that way—sometimes life and employment and choices were all disheartening—but as long as I kept writing, kept reading, kept exploring, I was also giving myself another chance at another day. I think it says quite a bit about us when we refuse to let fear or apathy or failure stop us from moving forward. We are naturally reluctant at times, fear the unknown, and yet once the change occurs – once we are falling and seem as though we are meeting our demise – we adapt rather quickly, develop wings, and rise again. Ashley's blog of usings and creative writings can be found at www.chaosandwords.com, and she is also a contributing writer for sites such as Chelsea Krost and The IndieChicks. Connect with Ashley on LinkedIn. Posted on August 31, 2014 by Alyssa W. Christensen and filed under Blogging, Communications, Editing, Freelance, Grant Writing, Publishing, Writing and tagged Editing. I have spent much of my life working with non-profits to address social and/or mental health issues that impact families. I have served as Executive Director of three different non-profit organizations in Virginia, which has allowed me to develop a multitude of development, human services, crisis intervention, strategic planning, coalition building, intergovernmental relations, personnel, fiduciary, evaluation, event coordination, and public relations skills. In addition, my career also boasts a period serving as Grant Writing Coordinator with Centerstone of Nashville, Tennessee, which at that time was the largest provider of community-based behavioral health services in the United States. Additionally, I served as the first Quality Assurance/Compliance Specialist for the National Center for Missing and Exploited Children (NCMEC) for approximately a year before returning to the “field” of domestic violence/sexual assault. My departure was to an organization where I had begun my career, which had been experiencing tremendous financial strain. It had been my hope that my return to the organization with a combination of experience and renewed energy would be beneficial. While I was able to provide some assistance to the organization, the organization made the decision to close and I was asked to resign. This also coincided with some serious health issues, so I did not return to full-time work. Instead, I am currently continuing with pursuit of my D.P.A. and working part-time for the local Big Brothers Big sisters. In my jobs, I have written many, many grants, as well as press releases, personnel and board policies, marketing materials (brochures, fact pages, etc. ), by-laws and other organizational documents, material for web pages, appeal letters, speeches which were delivered to local, regional, state, and federal offices, curricula and tests for training, client information summaries, meeting minutes, newsletters, and correspondence to various individuals and organizations. I’m sure there are other things I have written as well! I also write a lot for my doctoral program. This is an online program, so discussions are written and the expectations for writing are pretty intense. If I didn’t have good writing skills, I’m not sure I would be doing as well as I am. When I was in college, I actually couldn’t make up my mind between majoring in psychology and majoring in English. I decided to pursue teaching, which at that time required a discipline major like English. I later decided not to teach, but just to finish out with both degrees since I had significant coursework in both. When I graduated, it was a time of recession and I really didn’t know how to go about proper job hunting. I had also worked many part-time jobs through high school and college. In some ways, I think this was a disadvantage to me at that time. I lived in an area where the emphasis was more on work than college. I ended up taking a subcontracting job for IBM as an administrative assistant. I wrote a lot of correspondence and learned a lot about computer systems at this time. I did have to take grammar and typing tests during the application process. These were really a breeze for me at the time. The job I had did not require college, so I had some competencies that most folks didn’t have and I did well at the job. I got my current job through a connection I had made at my prior job. I had written a grant with this person and worked closely on trying to help their organization come to our community. When you write with others, they get to know you and your competencies, as well as build a rapport with you. This can prove invaluable. As mentioned, most of my work has been in non-profits. Working in this area is not a way to become financially wealthy, but it affords a lot of independence and freedom to develop many diverse skills. As suggested above, I have also written a book, but had to put publishing on the back burner. Now I think I will be rewriting it. I feel a certain sense of pride in my grantwriting, which has established many worthy social service programs in several states. My skills in writing converted to helping humanity. I did a lot of writing in college and the skill of typing in particular helped me to be faster than folks who did not have that skill. I entered and won a few college poetry contests, which helped me gain confidence in my abilities. My internships were more psychology focused, with direct service to persons with disabilities, as well as individuals with abuse issues. I found over the years that more often than not, my education and experience complimented each other well for the world of public service. To be an effective writer, your work must interest others and there is a fair amount of psychology in that as much as English. Read a lot. Think about what you like or don’t like when you read, especially in terms of subjects, style, and content. Write about what you know. Write as much as possible. Ideally you should develop writing habits that keep you writing regularly. Take criticism with a grain of salt. Be sure to incorporate feedback and suggestions as you can, without compromising your own happiness or ethics. I was always blessed with people who helped edit and provide feedback for my writing. It was something I got used to early on and used to my advantage in becoming better at my craft. If you truly have the gift of writing, be sure to view it as such and use it for good. If you can’t secure a paying job with writing, start by volunteering. Organizations are often grateful to have talented writers help them with things like newsletters, correspondence, marketing materials, etc. And volunteerism can sometimes lead to paid employment for the same types of activities. Most recently, by working on a voluntary writing project with a group, I got to know a few different folks who have been instrumental in helping this next stage of my career progress. Write for fun and enter contests that are free or have very low registration costs. Be wary of scams related to contests or publishing. Don’t be overly critical on yourself. Some things you write will be good and others will not. Some things will be liked by readers and others will not. You will likely evolve your opinions, style, standards, and competencies over time. That is o.k. and expected. Posted on July 1, 2014 by Alyssa W. Christensen and filed under Grant Writing, Non-profit, Writing. College & Majors/Minors: BA in English & minor in French from University of Puget Sound. MA in journalism from Emerson College. I am a grant writer at the international non-profit Human Rights Watch. Human Rights Watch has a team of writers on staff to write letters of inquiries, grant proposals, and reports for foundations and major donors. The topics I regularly write about are children’s rights, refugee rights, and rights in the Middle East and North Africa. Writing for donors is a particular style of writing that requires not only researching and knowing about the organization and its work well enough to make it interesting, but also trying to know enough about the person you are writing for to tailor the piece to them. Depending on how familiar they are with the organization and their particular interest, they may want something more general or more detailed. Grant writing can be creative— for some donors, it’s about writing a compelling narrative about our work. Other times, it’s more about filling out forms and writing succinct answers. Before this, I worked at the press desk at Human Rights Watch where I connected journalists working on pieces about international human rights issues with the experts at Human Rights Watch. I also proofread press releases, making sure each piece was consistent with AP and our in-house style guide. Internships were key in helping me get my first writing job. I went to graduate school for journalism and got an internship at a local paper while I was finishing my degree, which gave me the experiences and clips I needed to go for my first reporting job. To try out for the reporting job, I had to work for three days in a newsroom reporting on and writing about a town I was unfamiliar with. They were looking for someone who could not only write, but could also interview, research, cover breaking news, and find interesting stories. For my current job, I had an opportunity to volunteer writing grants for Human Rights Watch while I was still working at the press desk. I was able to work with and learn from the grant writing staff, and try doing the job to see if it was something I was interested in. When a job opened up, the interview process involved both a sit-down interview with a panel of people, as well as a take-home writing and editing test. It’s a job that requires working with many different people, both on the grant writing staff and with the staff of the entire organization, as well as donors. They wanted someone who could write and edit on a variety of topics and work well with many different personalities. The job also requires being able to take difficult and complex topics and put them in clear and easy language, so they can be understandable for an audience that may not know much about the topic. For all jobs with writing, being able to work on deadline is important. Being a reporter is great training for any writing job. You have to write on deadline whether you are “inspired” or not. You have to collect information fast, but be accurate. You have to deal with a variety of people, both inside and outside the paper. You learn to handle criticism—people won’t always like what you write, and they will be vocal about it. You are edited on a daily basis by— often blunt— editors. You sometimes write about topics you may not have ever heard of, so you have to find the people who can explain it to you and research it enough to write with some authority. You have to be careful that you get it right because people will call you out when you get it wrong. And you have to be able to write long features that you might get a month to work on, as well as be able to jump in a car, go to a fire, find the story, and come back and write an article within hours. It’s tough work and long hours and little pay. But it’s great when you uncover news, and it’s fun to see a story in print that you are really proud of. For a writer, any activity or class might come in handy, so I say mix it up. Find room in your schedule to take classes outside your degree. I wrote a series of articles about jazz music in Boston from an interest I developed in a jazz appreciation class that I took in college to fill an art requirement. For my current job, I draw on information I learned in a class I took in college on the history of nonviolence. Learning about new topics – and having to write about them – is a good skill to have. And you never know when you will discover a true passion. I also minored in French and studied abroad in France, then did a lot of traveling. Learning another language helps you to understand your own language better, and traveling is a way to experience different cultures and confront different points of view. Traveling makes you notice things more— while you are away and then about your own country when you return. Any writer needs to have open eyes to notice details, and then be able to share those details, which I did through letters home and later in travel-writing pieces. Now that I work at an international organization, the more I travel, the more it helps me understand people and connect with them. And everyone should experience being the foreigner. It helps develop compassion and often makes for great stories. Strunk and White’s The Elements of Style. Read it. Love it. Memorize it. Write for fun, no matter what your job is. Writing as a job, even if it is interesting and you like it, does make it a job, and you won’t love it every day. You will have to write on days when you don’t feel like it about things you don’t feel like writing about. It’s important to have a space where you write what you want when you want how you want. I have kept a journal since I was 9— not every day, but when I feel like it. It provides therapy and has also helped me be able to just open a page and start writing, letting the words come, not worrying about editing. I also started a whiskey blog, a fun space for me to explore learning about whiskey, develop my own voice, and write in a looser style. Learn a good second-job skill, like waitressing, or being a barista or a nanny. A lot of beginning jobs or internships don’t pay well, if at all, especially the fun ones. Experience can be more important than money when you are starting out or shifting jobs, and the connections you make are invaluable. I did internships, I volunteered to write articles for local papers while in school, I wrote grants for free while I was doing my previous job. You can survive on surprisingly little money and can work a surprising amount of days in a row when you are determined to learn something and produce something. And then you can draw from all those random jobs for good writing material. Visit Drake on her blog, whiskeygoddess.com. Posted on March 29, 2014 by Alyssa W. Christensen and filed under Grant Writing, Writing, Blogging and tagged Grant Writing.